As bird owners, it is important to be aware of the diseases and disorders that can affect our precious pets. Early detection of illness is key to successful treatment in pet birds and is indeed important to their survival in many cases. So it is crucial to learn about some of the most common illnesses that affect birds in captivity, and how to recognize their symptoms. If you notice your own bird exhibit any of these signs of illness or other uncharacteristic behavior, you should seek the attention of a qualified avian vet as soon as possible. Although Proventricular Dilatation Disease (PDD) is one of the most confounding avian disorders, the ways that PDD is spread from bird to bird are still unknown. Symptoms of PDD include weight loss, vomiting, changes in the bird's droppings, and a swollen crop (the muscular pouch near the throat). PDD is also known as Macaw Wasting Syndrome and Parrot Wasting Syndrome. 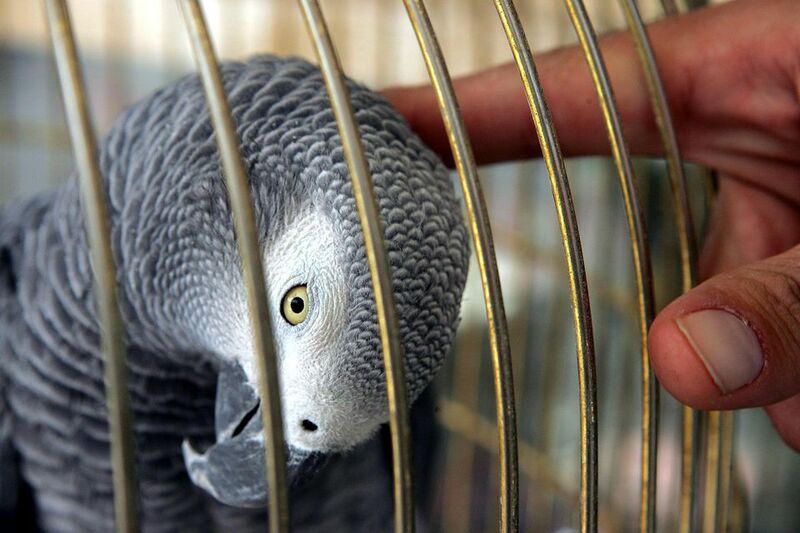 Psittacosis, or "Parrot Fever," is a form of the Chlamydia bacterium that can affect all hookbills. The disease is highly contagious and can be passed from birds to other animals, as well as humans. Symptoms of Psittacosis include difficulty in breathing, eye infections, and inflammation, as well as loose, watery droppings and general lethargy. Treatment is most often an antibiotic. Polyomavirus is a disorder that causes a bird's flight feathers and tailfeathers to develop abnormally, and in some cases, not to develop at all. Symptoms of Polyomavirus include appetite loss, an enlarged abdomen, paralysis, and diarrhea. Some birds may not show outward symptoms at all, but are carriers of the virus and may shed it in times of stress, posing a risk of infection to other birds in the home. There really is no treatment since this disease can progress quickly and has a high mortality rate. Candida or Candidiasis infections can affect all birds. The disease involves an overgrowth of yeasts that are normally found in a bird's digestive system. Common symptoms of Candida infections include white lesions in and around the mouth and throat, vomiting, appetite loss, and a crop that is slow to empty. Most Candida infections are successfully treated using antifungal medications.